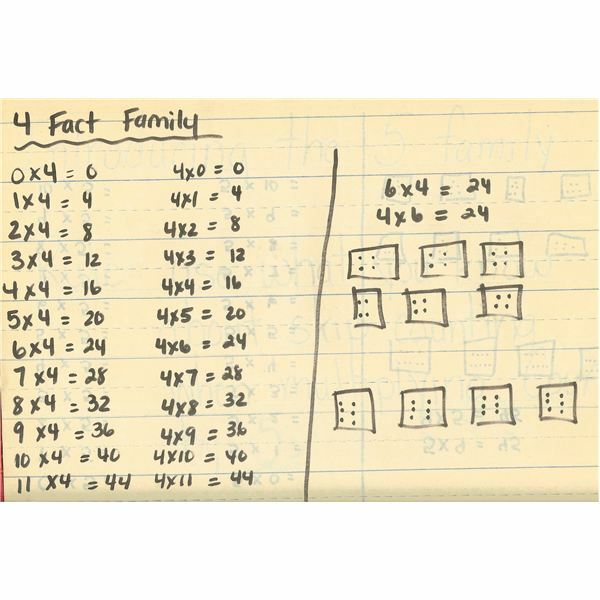 Students are often overwhelmed by the thought of learning and memorizing their multiplication facts. 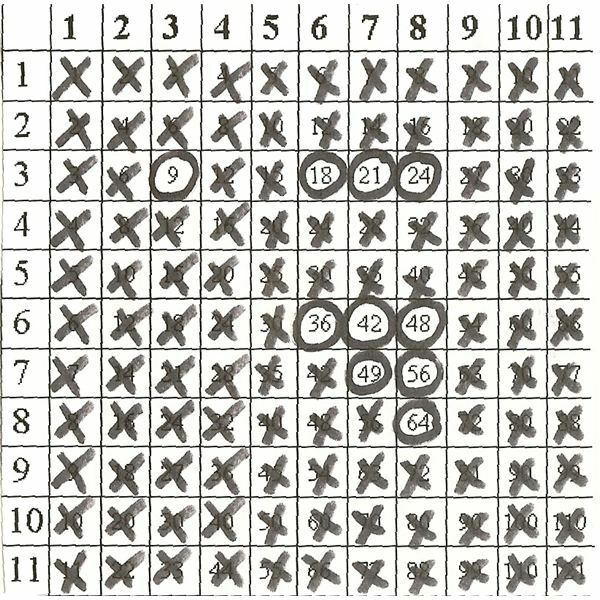 At first glance, the standard multiplication table appears to be a jumble of problems with little rhyme or reason. 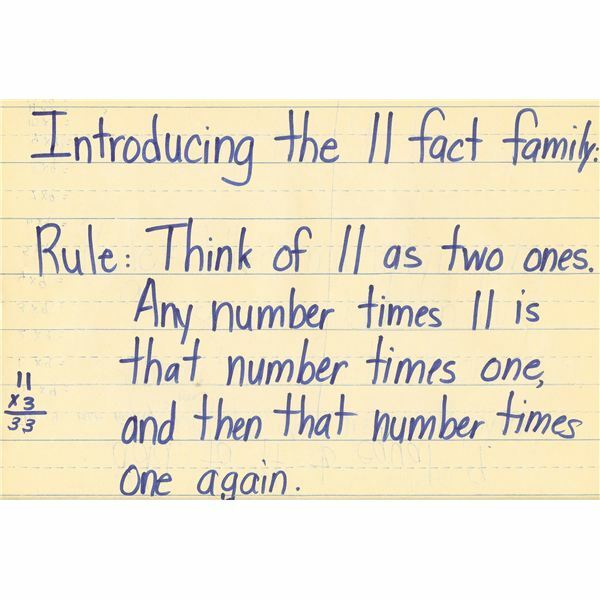 For your more reluctant learners, this can translate into feelings of panic, inadequacy or even resentment. 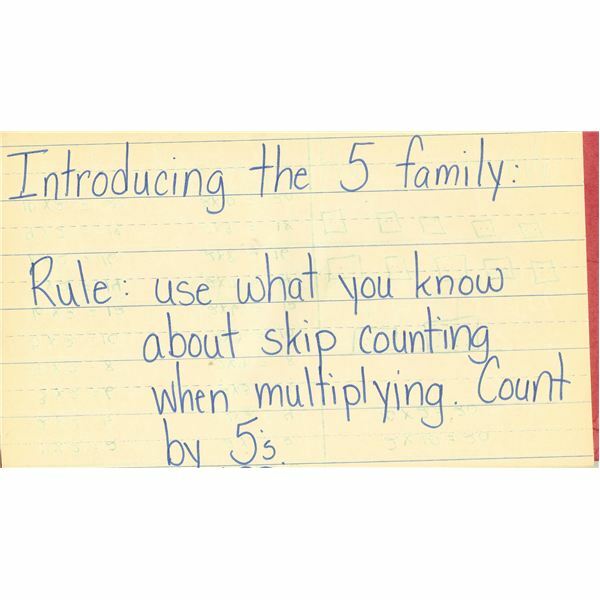 The key to successfully teaching multiplication facts, therefore, is breaking the task into manageable lessons. Identifying and using multiplication patterns does just that! 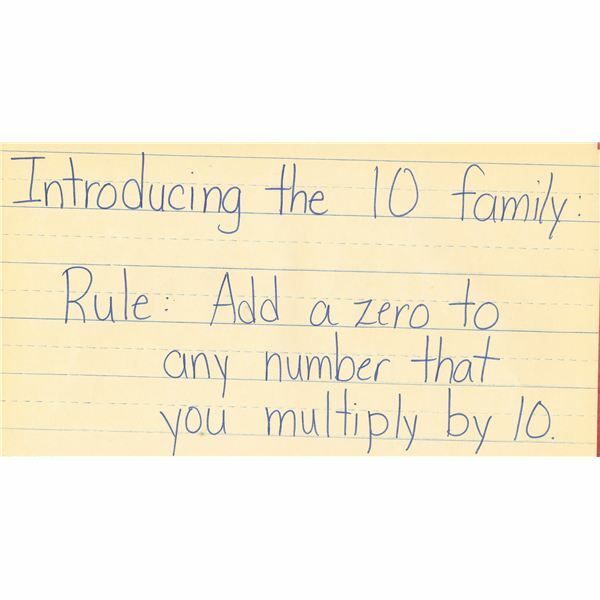 Learning multiplication facts does not seem as daunting when you tell your students they will only have to memorize a total of 10 facts! How is this possible, they might ask? 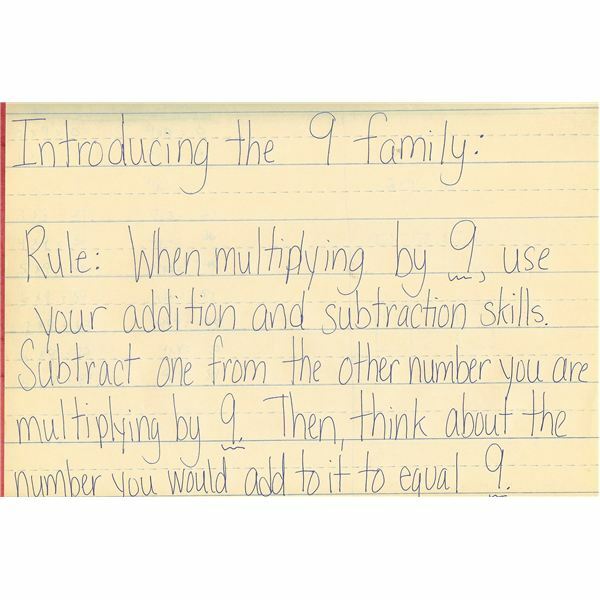 The answer is multiplication patterns. 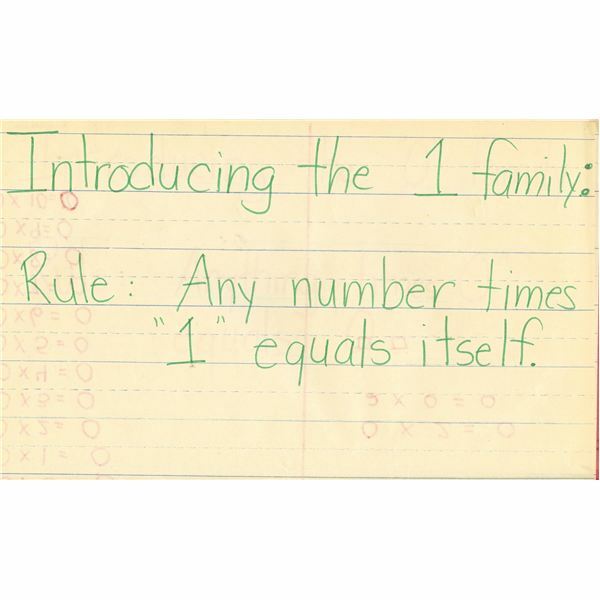 From very early on, children have been taught to identify patterns – in reading, in spelling, in art, in music and of course, in mathematics. 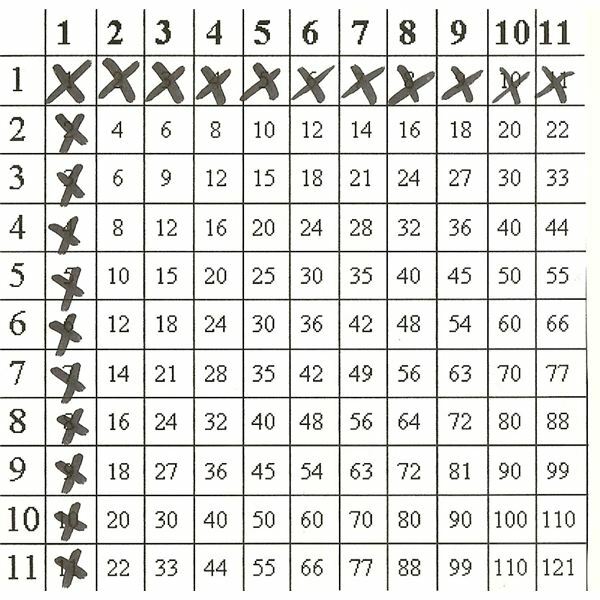 The Multiplication Table is no exception. It is made almost entirely of repeating patterns. 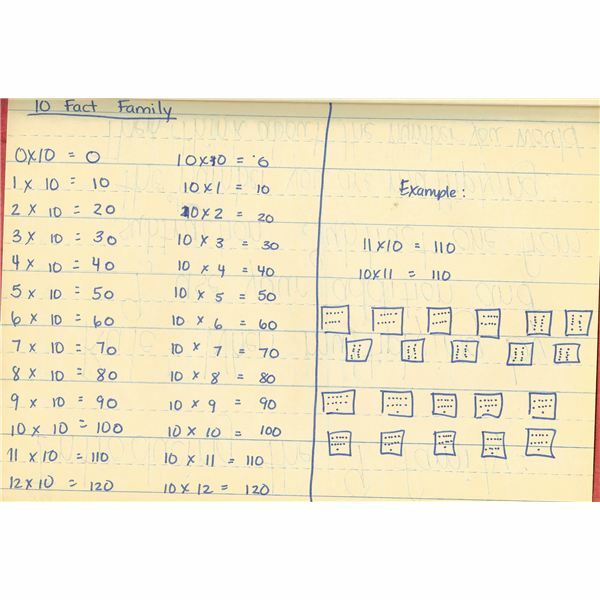 Once these patterns are identified and understood, it can be noted that there are only 10 remaining multiplication facts that do not fit a specific pattern. 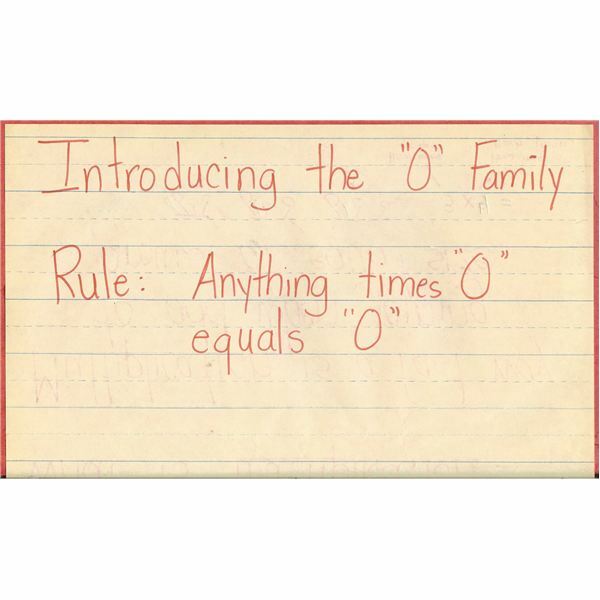 For these problems, the only available learning tool is memorization. 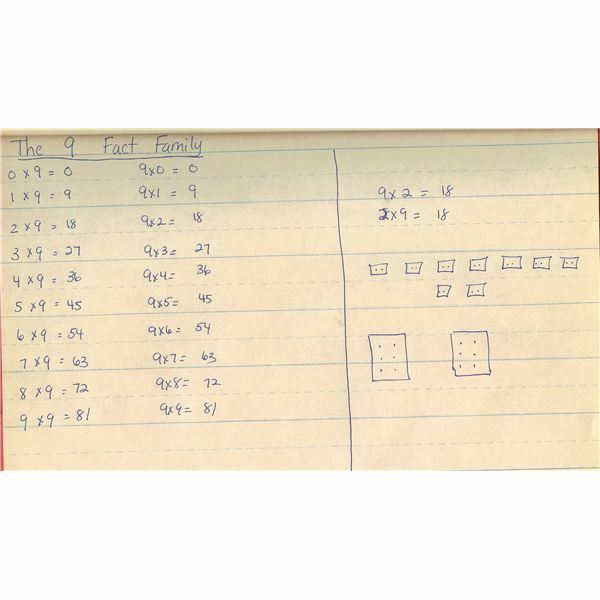 Still…the thought of having to memorize 10 problems is much less overwhelming than the thought of memorizing an entire table! 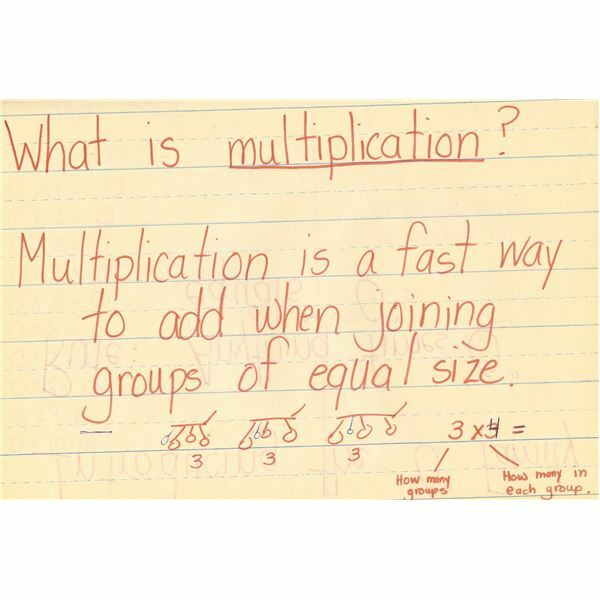 Multiplication is a fast way to add when joining groups of equal size. 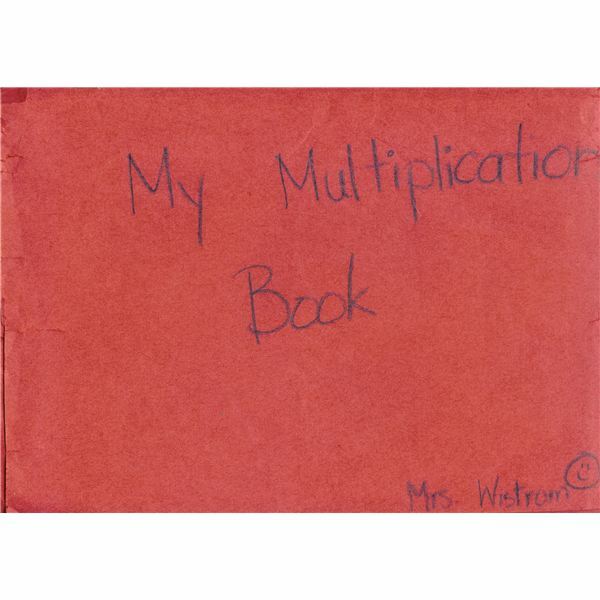 Have your students write this definition on the first page of their multiplication book. 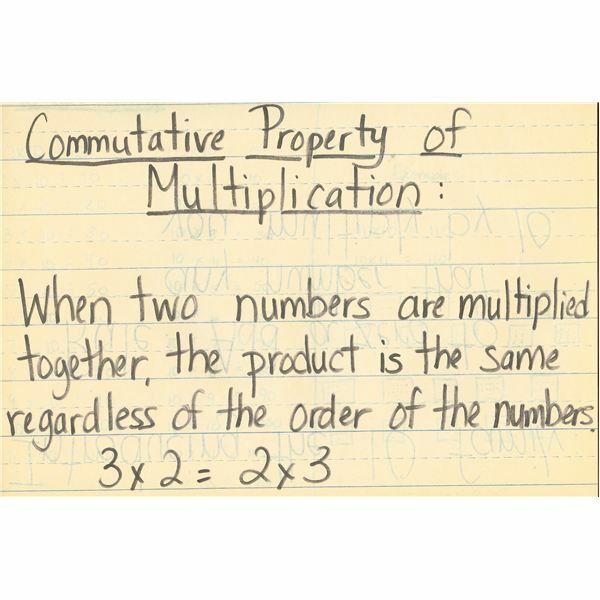 When two numbers are multiplied together, the product is the same regardless of the order of the multiplicands. 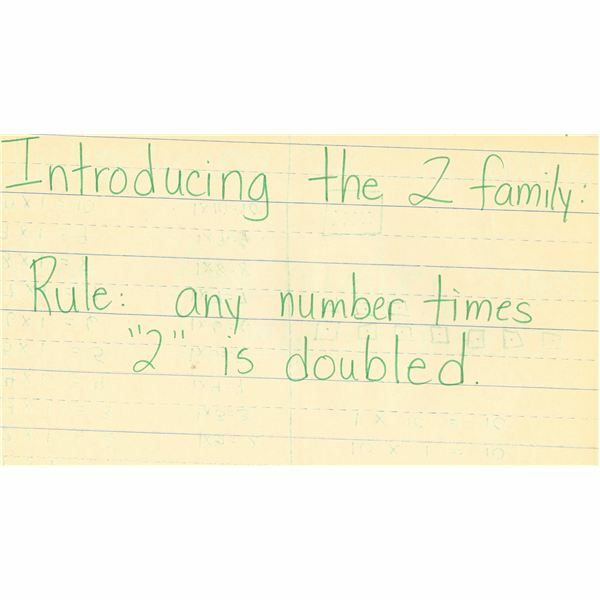 For example 3 x 2 = 2 x 3. 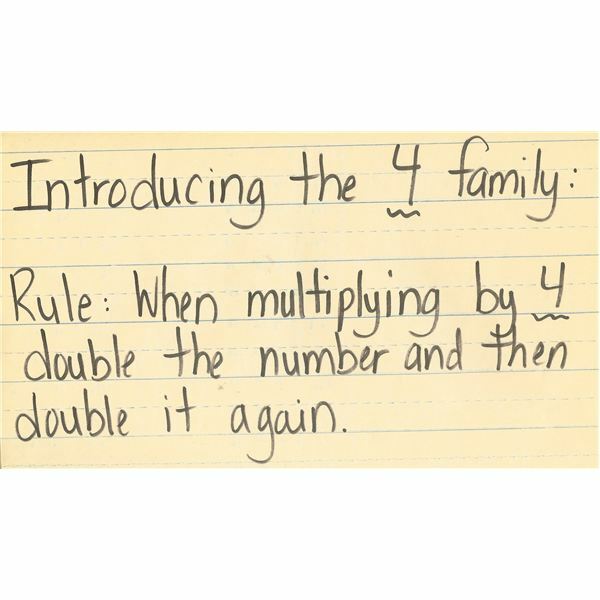 By understanding this principle, students see that many problems can be overlooked because they are actually duplicates. Have them write this definition on the second page of their book. 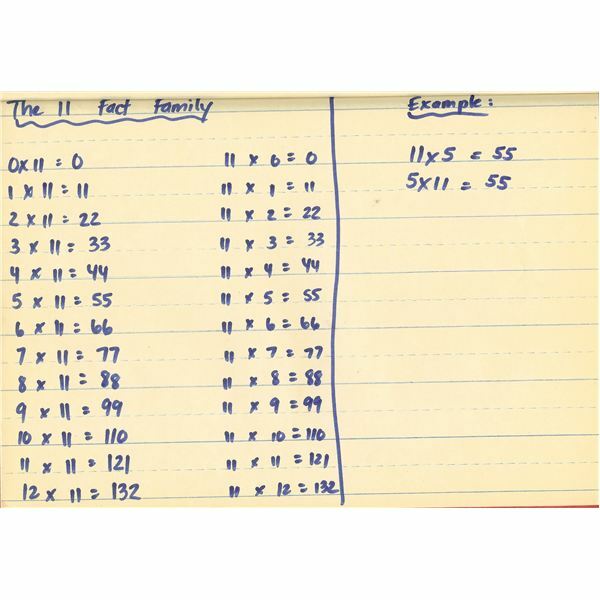 The following pages of the book will cover the fact families that show definitive patterns, the associated rules, the numerical sentences that make up the fact family and a pictorial representation of the Commutative Property of Multiplication. Below you will find examples of each of these pages.